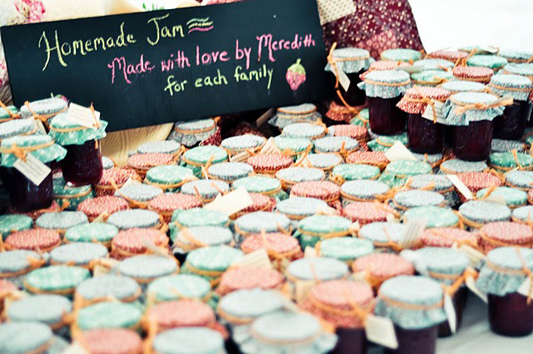 Homemade jam, made with love, makes the sweetest wedding favour. Start early on collecting jars and ask family and friends to save theirs too. It might take a couple of days work in the kitchen to produce the amount of jam required, but of course this can be done well in advance of the wedding.